Let these travel hacks save you time and anxiety this holiday season. 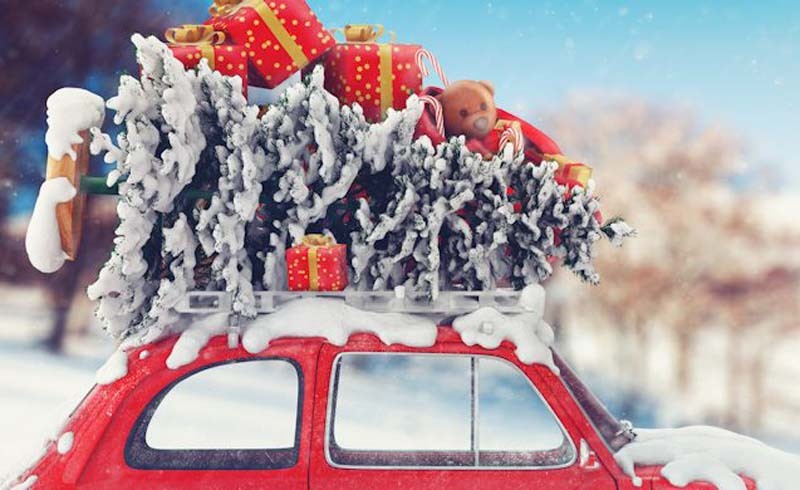 The holiday season is notoriously one of the most heavily traveled times of the year, with millions of Americans traveling to friends, relatives, or warmer weather. So how do you maneuver long lines, flight delays, and bumper-to-bumper traffic? From packing to the actual journey, we have expert tips on smart holiday travel, whether you're flying or driving. Smart travel starts before you even leave the house. If you're traveling with kids, whether you're flying or driving, some extra planning can go a long way. Make sure to pack plenty of games, movies, and music to keep children entertained for the long travel hours. Even though there might be snacks on the plane or fast food stops on the way, a hungry kid is a grumpy one. "It's always good to have snacks on-the-go​," says Michelle Agnew​, Southwest Airlines spokesperson. As you're packing, throw a few dryer sheets into your bag. They'll help keep your clothing smelling fresh, even after a long flight. Got a lot of stuff? Roll your clothes or cram them into Ziploc bags to save some serious space. If you decide to fold, stick tissue paper between any fancy formal wear to help keep wrinkles at bay. When packing liquids, place a piece of plastic wrap between the top and body of a lotion or shampoo container to prevent spills. For jewelry, string chain necklaces and bracelets through a straw so they don't end up in a big, tangled knot. If you're responsible for bringing the wine, secure a bottle inside a pair of shoes to keep it safe during the bumps and tumbles of the trip. Flying? Make sure you know which items you can and can't bring in your carry-on. Before heading out the door, turn down the heat if you live in a cold environment to help save on your heating bill. You may also want to make sure a friend or neighbor has a spare key in case of an emergency. So you're piling into the car and hitting the road to get to your holiday destination. 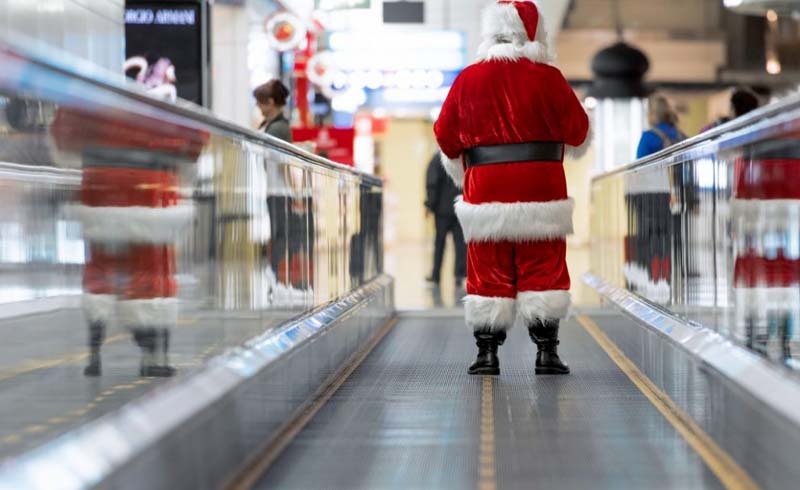 Unfortunately, so are 91 percent of other holiday travelers. The biggest travel tip? Travel very early or very late at night because the best way to beat traffic is to hit the road while everyone else is asleep, according to the Travel Channel. Plus, road trips aren't always all they're cracked up to be. Especially if you're planning to cover the average long-distance trip of 275 miles. To power through, stick to the two-digit interstates, which are usually the most direct routes through cities. Don't be afraid to skip fast food and hit the grocery store instead. Listen to your favorite radio station, take plenty of breaks to stretch your legs, and most importantly, pull off the road when you get sleepy. As for the return trip, because Christmas falls on a Thursday this year, the following Saturday and Sunday will likely be major travel days. If you plan on heading home over the weekend after Christmas, fill a travel mug with coffee and hit the road at the crack of dawn. Every year, millions fly to meet family and friends to celebrate the holidays. Unfortunately, the weather doesn't always cooperate. That means crowded airports, flight delays, and security lines for what seems like miles. Luckily, there are a few sneaky tricks to get through airport faster. Start by checking in ahead of time to help streamline the process. Reading up on baggage weight restrictions can prevent extra fees at the airport. If you're bringing gifts, don't wrap them. "[The] TSA may want to check the packages that you're taking through security, so make sure you wait until you arrive to your final destination before wrapping your gifts, says Agnew. Can’t wait? You can check them instead. Always arrive early on heavy travel days by at least two hours, says Agnew​. This is especially important if you're flying out of one of the busiest airports. Some airports experience average delays or cancellations on 20 percent of their holiday flights. The worst offenders are Newark Liberty International, San Francisco International, LaGuardia, Chicago O'Hare International, and John F. Kennedy International. Headed to security? If you're traveling with little ones, take them out of the stroller while you're waiting in line and get ready to send it through the metal detector. Look for the shortest line and, when at a loss, veer left. Most people tend to move right or toward the center so lines on the left are often shorter. We asked our readers for their top travel hacks. Here are a few of our favorite tips and tricks. "I like to leave a clean house behind me. It is always worth the extra effort to make sure the house is welcoming when we return home. It doesn't matter if the trip is long or short, for business or pleasure. It is stressful to walk into a mess when you are exhausted from traveling!" —Minde M.
"My favorite tip to people is to pack some clothing and footwear that you are thinking of tossing soon. You can wear it on your trip and then leave it there. This leaves space in your luggage for souvenirs." —Susan D.
"Bring an empty water bottle and fill it after security. It's just outrageous to pay $3 for a water." —Ida P.
"If driving, I like to pack a variety of healthy snacks to avoid spending my calories and money on fast food. I also make a road trip playlist to keep my motor running behind the wheel." —Luna M.
"My mom said this whenever I worried about forgetting something, 'It's not like you're going to a foreign country.' She was right, but I've found that even if you are going overseas, you can still manage! So, don't worry, just enjoy the ride." —Colleen B.